This class combines hours of lecture and practical training examples designed to give you the knowledge and skills you need to train pregnant women safely and effectively. The human body goes through many physiological and emotional changes throughout the 40 weeks of gestation. Trainers need to be aware of these changes and the effect they have in each phase of pregnancy in order to meet the needs of the client during this special time. The lectures will provide you with a foundation of knowledge about pregnancy and the importance of safe and effective exercise. During the practical demonstrations you will apply this knowledge and develop the skills and experience for safely and effectively training pregnant clients. Identify the 10 most common changes that occur in a woman’s body during pregnancy and describe the resulting discomforts. Identify strategies for relief of common discomforts during pregnancy. Explain the benefits and techniques of belly-breathing. Identify and explain breathing exercises beneficial to pregnancy. Discuss benefits of exercise to a woman’s pregnant body. Identify physiological considerations for safe exercise during pregnancy. Identify and explain tips for adjusting actively to the first trimester of pregnancy. Discuss changes specific to the second trimester of pregnancy and reasons for exercise modifications. Identify and explain strategies for staying positive during the third trimester. Identify factors that contribute to increased pain during labor and delivery; and strategies for relieving pain during labor and delivery. 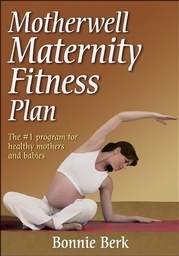 Practice and demonstrate safe and effective exercise for a pregnant client. Identify and apply marketing strategies for attracting pregnant clients and building you personal training business. The most valuable aspect of the class was the case studies. It made things way more realistic like I was dealing with a real client. It was stressful, but a good stressful. These assignments made me think outside of reading and made me re-read to get better understanding. The practical was very valuable as well to see a pregnant woman actually performing the exercises while explaining them. I have a 3yr old and a very busy life, so being able to take the course at a time convenient for me, was very helpful. Easy to complete. Can fit into my schedule and not have to take time off work or travel. I felt as if I were actually in the classroom. The courses can be done anywhere at any time and that made it great. I am better with listening than reading content. I listened and went back and read what I heard just for the visual and to pick up what wasn’t said. Also, having a deadline on when it had to be completed really helped me to get it done. I’m happy that I did because I feel so empowered right now. Abby Eastman Ms Ed, ACSM EP-C, ERYT, holds a B.S. in Exercise and Sports Science and a Masters degree in Education in Exercise Physiology. 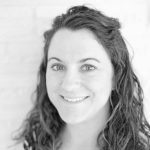 Currently she teaches a variety of yoga classes and works with personal training clients on pain reduction and functional movement. She is a long time WITS faculty member and leads several online courses and webinars.